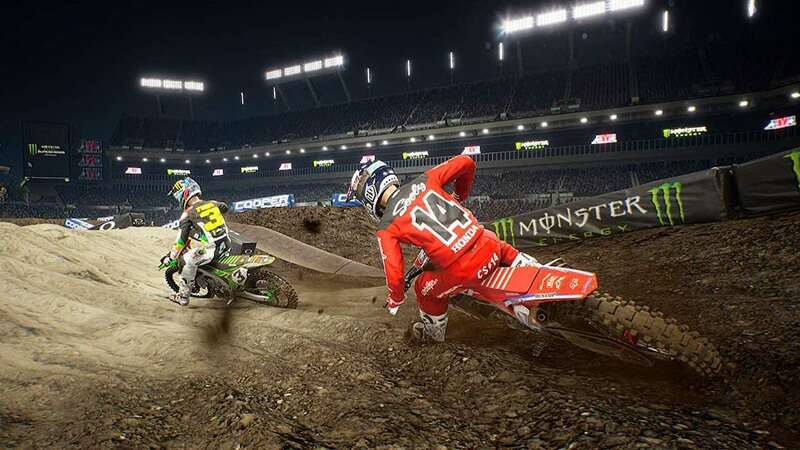 Feld Entertainment and Milestone have announced that Monster Energy Supercross: The Official Videogame 2 will release on Nintendo Switch. With more than 80 riders from the 2018 roster like the champion Jason Anderson, Eli Tomac and Marvin Musquin, you will have the chance to ride in both 450SX and 250SX categories. You will need to train hard, meet fans and find new sponsors and contracts on your road to become the greatest rider. Starting in 250SX, the experience that you build will eventually lead you to reach the highest rank in the 450SX series. With improved playability and aesthetics promised, you will have the chance to customise your experience – whether that be your rider, bike and outfit or using pieces, modules and phases in the Track Editor to create tricky courses. Monster Energy Supercross: The Official Videogame 2 will release for Nintendo Switch worldwide on 8th February 2019.